The resurgence of comics in the classroom can be attributed to a number of factors. First, they appeal to visual learners, so teachers looking for additional outlets to meet the needs of these students are finding comic books an ideal platform. Second, comics provide a versatile media that can be used in a variety of formats and curricular areas. They are also approachable and adaptable enough to be used in a K-12 setting. Third, the onset of free and easy-to-use online comic book creators mean that this format of learning has never been more accessible to students. No art skills or drawing expertise is required, and this opens up the media to a larger audience. Finally, the popularity of comic book characters is huge today. Box offices around the world sell out movies that have heroes who have leapt from the pages of comics to the big screen. So, using comics has never been easier than now. There are many great, free, online comic book creators for teachers to consider when they are using comics in the classroom. A great place to start would be with something like ComicBrush.com or Pixton.com. While these are not the easiest to use with younger elementary students, you should have no trouble introducing these to middle and high school students. For elementary students, the ReadWriteThink or MakeBeliefs comic book creators would be ideal. For fun, you will definitely want to try Marvel's Superhero Squad. It lets you include characters from your favorite Marvel comic books in your finished product. Each comic book creator comes with its own publishing options. At the very least you will be able to print your comic book, but some let you email, download, or even embed your final project into a classroom website or student blog. Not all comic creating sites are student friendly, as they are open to everyone and not well moderated. However, the ones mentioned in this teacher's guide are some of the better examples, and you will soon develop your own favorites. 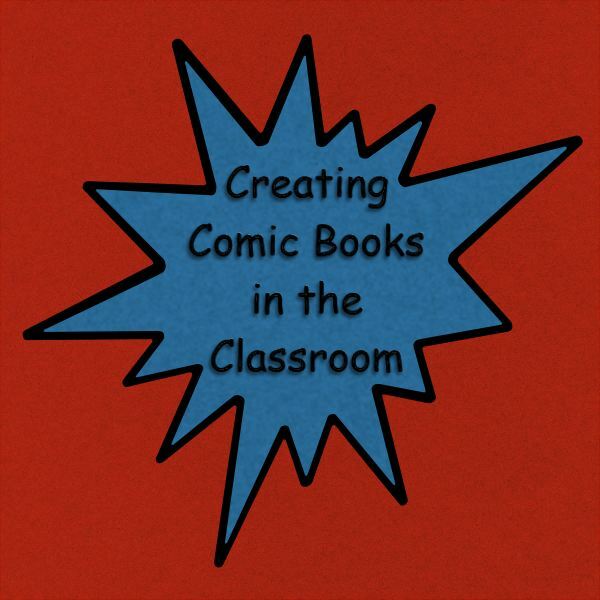 To finish off this teacher's guide to comic book creation, I have included my top 5 favorite tips for using comics in the classroom. 1. Convert the Classics: Shakespeare didn't have the luxury of using comic books, but you do! Try scenes from Hamlet or Romeo and Juliet as comics. Challenge your students to interpret the written work in pictorial form and be prepared to be amazed with what they come up with. 2. Instruction Manuals: Have your students create visual 'how to' guides with their comic books. It would be a great sequencing activity. Have the students write the directions as part of a structured writing process first, or jump straight into your comic explanation. Your comic characters could explain anything from how to look after a pet, to inherited genetic features. Your options here are almost limitless. 3. Personal Narratives: Using comic books in the classroom for personal narratives is a great way to for students to relive that summer vacation, or even describe their daily routines. 4. Interviews: Use your comic book creator to create interview scenarios. Students can mimic a job interview, an historical event, or interview their favorite celebrity, (dead or alive). 5. Study Guides: Have your students study for a test by animating all the key learning points. The comic strips could include two students studying for a test, or chart the adventures of a hero on a quest that needs test questions solved in order to advance towards his prize. Using comics in the classroom may be one of the more original things you can do to help broaden the learning experiences of your students. So, why not see if it can improve the teaching and learning in your classroom? It has never been easier to make a comic book. Some ideas and research adapted from: olliebray.typepad.com/olliebraycom, and kimskaleidoscope.blogspot.com.